Welcome back to the blog. 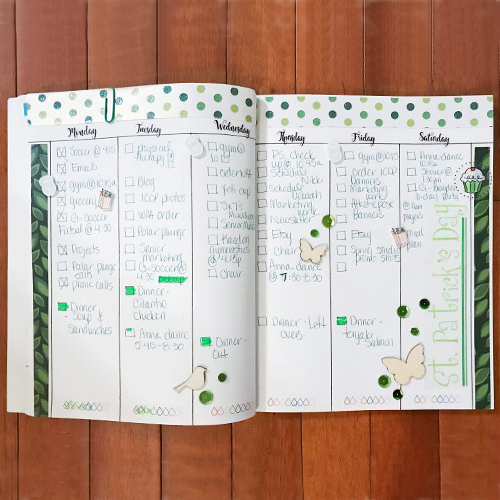 Latrice here and I’m excited to share with you a great monochromatic bullet journal spread. 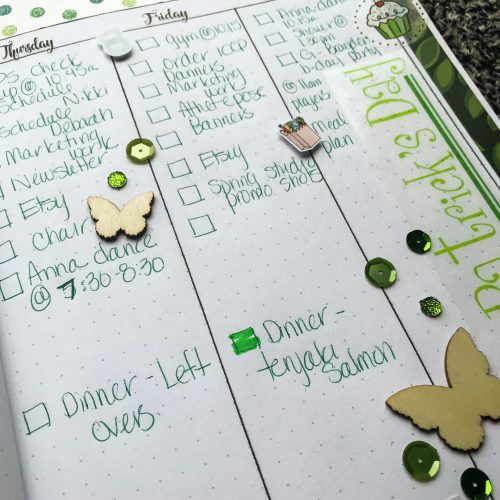 Bullet journaling has taken the world by storm. 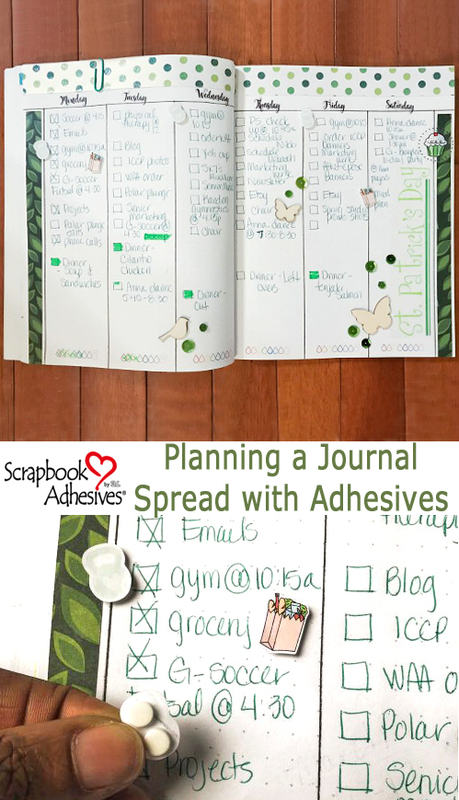 It’s a fun journal that you can keep simple or get super artsy. 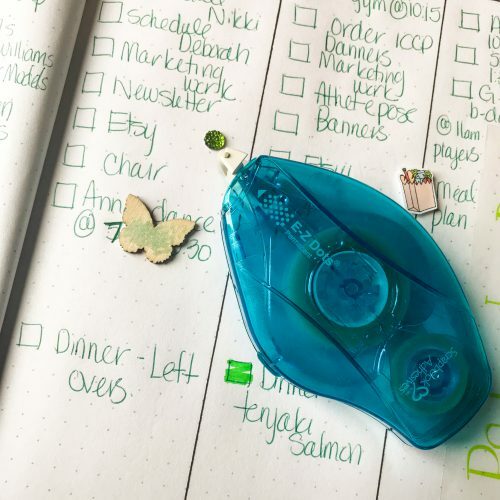 This year I plan to use mine to track goals, weekly happenings, and even meal planning. For this month I went with fun tones of green inspired by the St. Patrick’s Day theme. I kept my weekly plan simple this month. Take a look. I pulled out green pieces that I thought would work. When bullet journaling you have to keep the pages somewhat thin. The new 3D Foam Circle White Mix is probably my “new favorite” product. The circle shape is perfect for smaller round embellishments and more. 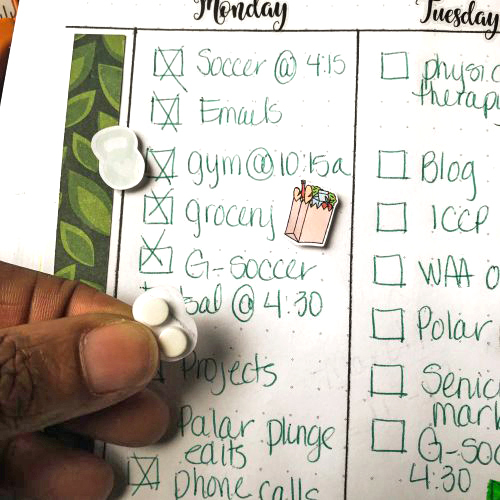 On this week’s spread, I used the 3D Foam Circle White Mix and E-Z Dots® Permanent Dispenser. Below you can see exactly how those were created. Creating a spread means you’ll need to do a little planning ahead of time. Start with a pencil and then once the spread is planned out you can then go over everything in black ink. Fill in your “to-do” list, add menu ideas and write about anything else that is important to you this week. Check out my spread and all the details. This entry was posted in 3D Foam Circles, Adhesives, Beginner, Crafts & Tutorials, E-Z Runner® Dispensers, Permanent Adhesive, Planners, Seasonal Craft Ideas, Skill Level, Spring, Tutorial and tagged 3D Foam Circles White Mix, E-Z Dots Permanent, E-Z Dots Permanent Refill, E-Z Dots Permanent Refillable, E-Z Runner Petite Refillable Permanent Dots, E-Z Runner Petite Refills Permanent Dots, Latrice Murphy, Planner. Bookmark the permalink.